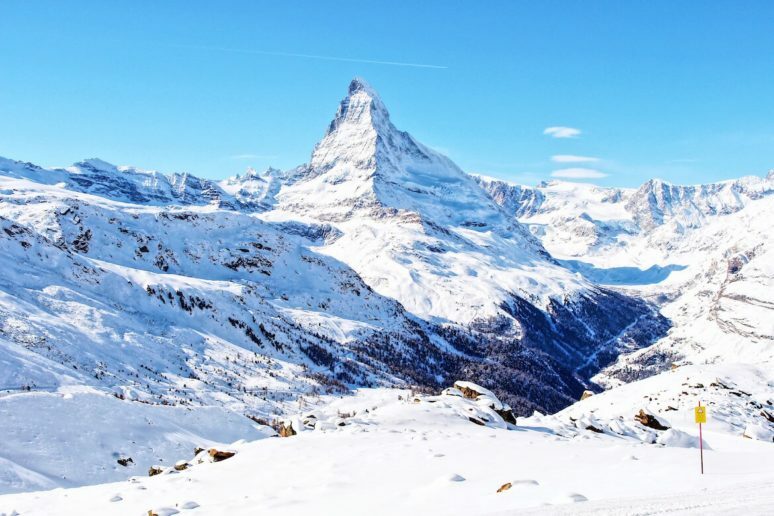 THINGS TO DO IN ZERMATT SWITZERLAND, BESIDES SKI! By now, you’ve probably heard of all of the amazing winter-weather destinations that Switzerland has to offer, like St. Moritz, Gstaad, Verbier… the list goes on. And I’m sure you’ve heard of the mountain resort town of Zermatt due to its proximity to the “world’s most photographed mountain” aka The Matterhorn. 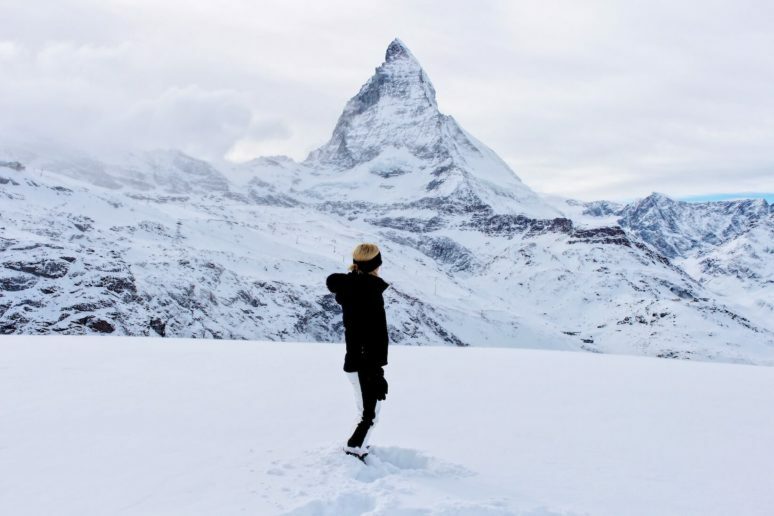 The Matterhorn, which soars 4,478m in the air, is on the Swiss-Italian border and is one of the more recent mountains to be conquered by fearless climbers. The Matterhorn sure is beautiful and the photographs—no matter how many you see on Instagram or in guidebooks—do not do her justice. 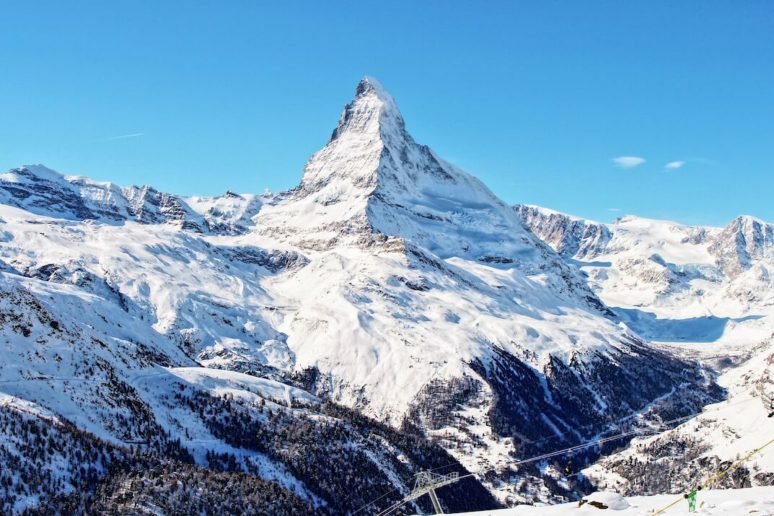 Zermatt is located in the Visp district in southern Switzerland, easily accessible by train from all of the major airports in the country, like Zurich and Geneva. The area is German speaking but all workers in town will also have a proficient understanding of English, French and Italian, making it easy for international travelers. The Swiss Franc is the official currency although Euros are widely accepted. In winter, temperatures average around 6 – 10 degrees celsius and will get colder at night. But during the day, there is a good chance you’ll be in luck with sunny weather while you explore, so be sure to pack layers. 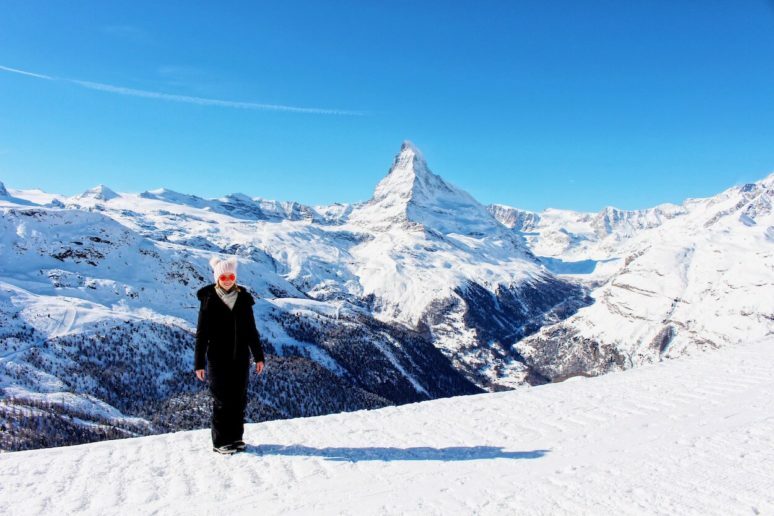 SO, what is a girl to do in Zermatt, besides skiing? Whether you want a break from snow sports or simply don’t do them, there are lots of options to keep you busy in this picturesque mountain village. Speaking of sunny weather, the Blauherd-Fluhalp hike is considered to be the area’s sunniest trail, with pristine views of—you guessed it—The Matterhorn! To reach the summit, simply hop on the Sunnegga funicular to the Sunnegga stop at 2,288 meters, then continue onto a cable car that will bring you to Blauherd station. You will quickly realize—as with everything in Switzerland—how convenient and well thought out transportation is in Zermatt! Once you get off the cable car, walk outside towards Blue Lounge (you can’t miss all of the skiers lining up for a coffee or glass of wine) and right past it. It will be tempting to stop and stare at The Matterhorn, but don’t, as even better views are yet to come! The trail immediately begins behind Blue Lounge. A good way to tell? If skiers are zipping past you, you are in the wrong area! This trail is for hikers only! You’ll even start to see signs for local wildlife like the chamois, an antelope-like animal you can sometimes spot. 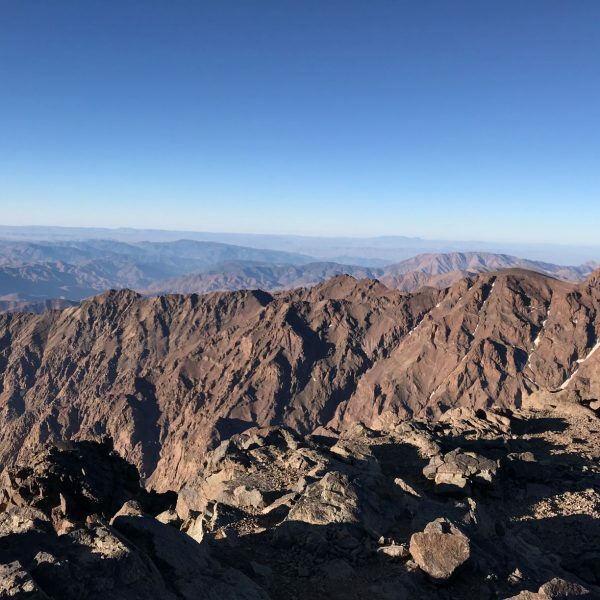 The trail is around 2,500 meters high and is considered an easy hike (for anyone above the age of 4). It should take roughly an hour to hike, although factor in plenty of extra time because you’ll be stopping every 5 minutes to take photos of The Matterhorn as well as the frozen Lake Stellisee below. Finally, end your hike at Fluhalp Restaurant with a nice plate of local food and wine. You’ll need the energy to hike back! 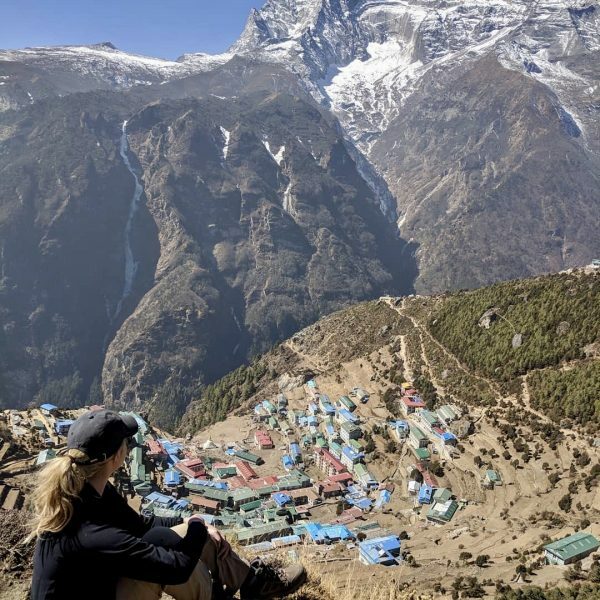 If you’ve ever dreamed of being completely alone in the Swiss Alps with a perfect, close up view of The Matterhorn, then this is the trail for you! Start by taking a ride on the famous Gornergrat Train from Zermatt and getting off at the Rotenboden stop, near the top. Luckily, most people on your train will be getting off to ski or snowboard down the mountain, leaving you all by your lonesome to hike down! Simply scoot past the skiers to the trail and head off towards the Riffelhorn, a beautiful mountain in the Pennine Alps range. This trail will snake down and in and out of the sun. All of a sudden—BOOM!—there she is, The Matterhorn, in all her glory. Look around and listen. Save for the sounds of the skiers on a nearby path, there will likely be no one else around. Jump in the snow, slide down one of the icy hills, make it your winter wonderland playground. This is a once-in-a-lifetime scenario. The hike should take no more than an hour and is also considered to be easy. Truly, you won’t realize if you’re huffing and puffing a little bit—it’s too beautiful to notice. End up at the Riffleberg station and get on the train to head back to town! Don’t forget: Proper winter hiking clothes and shoes are strongly recommended for any outdoor activity in Zermatt. 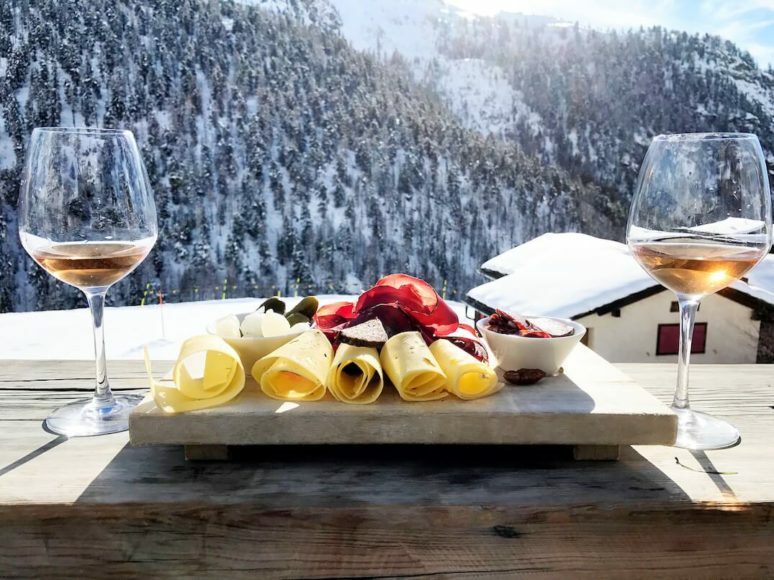 You can’t go to a ski resort and not participate in après-ski (basically any social activity after a day spent skiing), especially one that involves such a special restaurant like Chez Vrony. What started as a farmhouse up high in the Alps has transformed into Zermatt’s most beloved restaurant and hang-out place. The only caveat? You must ski, sled or hike down a ski path to get there. Easy! From Zermatt, take the funicular to Sunnegga and either ski or sled down the slopes for about 5 minutes or head off on foot for about 20. Keep in mind, skiers will be flying past you, but most of them will be of the mini variety—this is known as one of the easier slopes in the area and is filled with children learning to ski (it’s adorable!). Arrive at Chez Vrony and be prepared for an experience unlike any other. Situated in perfect view of The Matterhown, with skiers on all sides and a lush forest in front, you’ll either sit at a picnic table or on a wooden lounge chair for two, complete with soft blankets to keep you warm. 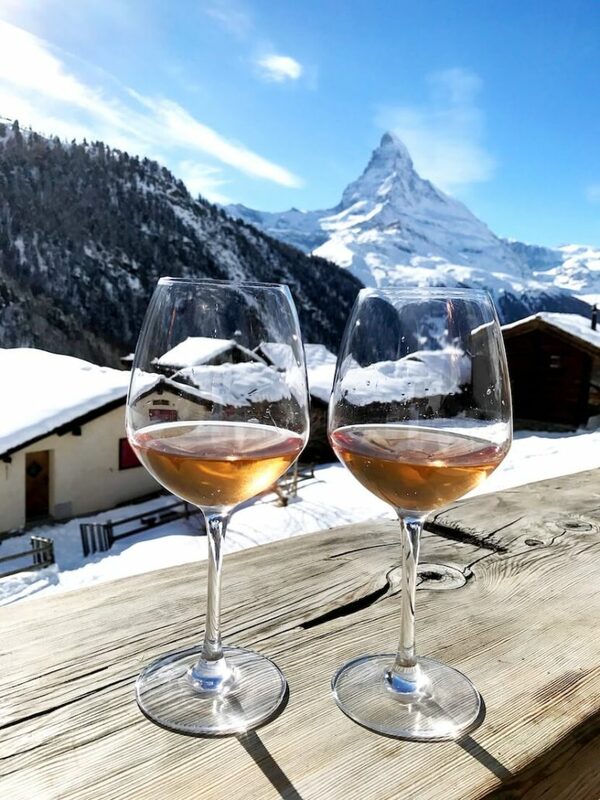 Order up some glasses of rosé wine, regional fare like homemade cured meats and cheeses, and settle in to admire the view! 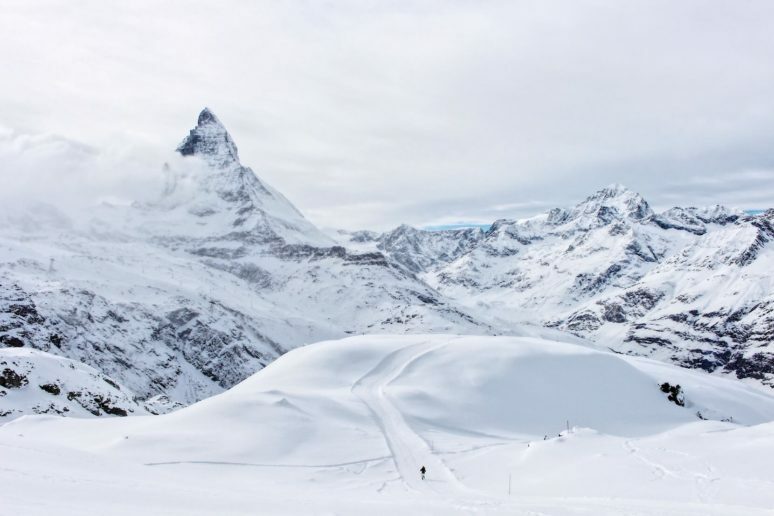 All in all, whether you are in town for winter sports, simply admiring the views or just for post-ski socializing, Zermatt is one cold-weather destination not to be missed. Have fun! So informative!!! Can’t wait to book my next trip!!! I’m on my way after reading that. I no longer ski , but having a martini with a crepe @Chez Vrony will be my next destination. how much more romantic can it get :). What a helpful and well-thought-out post. I have always wanted to visit Switzerland (skiing is not my forte), and I’m really looking forward to making the trip the right way with your suggestions. Thank you! Love the pictures! What a beautiful shot on the Rotenboden – Riffelberg trail. Will make sure to hike it next time with camera in tow. And there’s nothing better than Chez Vrony!! I always follow Ms. Benanty whenever she writes about travel. Love the pics and content in this article. 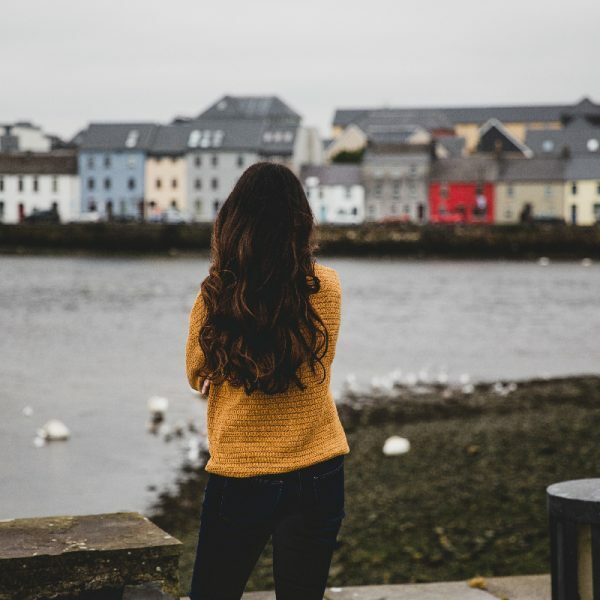 As a frequent traveler I depend on other’s advice and found her to be one of the best- Now I will tune into wearetravelgirls too. Nice article. What a great guide to this gorgeous place for accident prone non-skiers like myself! 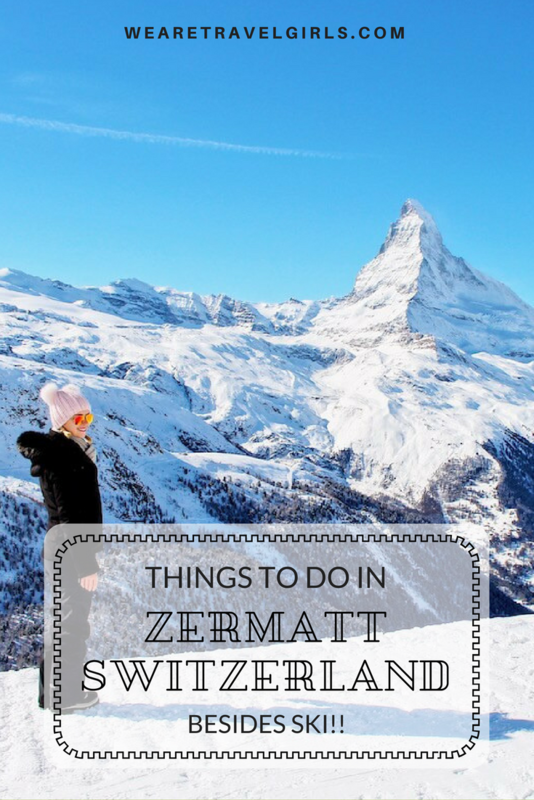 I’ve bookmarked this post for when I get to Zermatt myself! Thank you ! ? Great choice deciding to go to Zermatt. Im shocked you cant arrived by car, for such a famous city this doesn’t make sense! The hard combination of cars and trains you have listed will help though! After all of the trains it will be well worth getting into the Zermatt Luxury Chalet we plan on renting for a great weeks ski and snowboard.